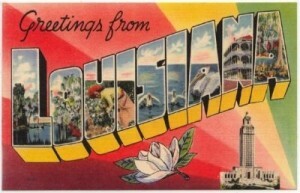 Because Louisiana is divided by the Mississippi River and was the “Southern Gateway to the West,” we consider this state an important part of the American West. In the early 1800’s, Spain offered the young United States free access to shipping on the Mississippi in order to move agricultural foods to market in the Eastern part of the country. By 1762, Jewish traders were noted among New Orlean’s population. 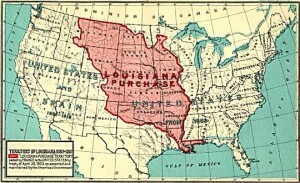 The Spanish made a deal with the French to relinquish control of the waterway and New Orleans at its base. President Thomas Jefferson realized the dangers of French control of the Mississippi. Negotiation began for the purchase New Orleans. 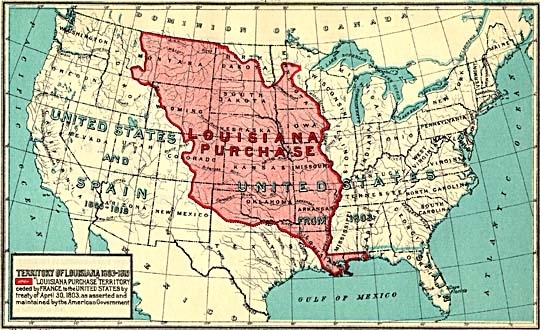 The end result was France’s offer to sell what we know as the Louisiana Purchase in its entirety to the United States for fifteen million dollars — among the greatest real estate transactions in history. In 1803, the United States took possession of some 828,000 square miles, including the Mississippi River and its tributaries westward to the Rocky Mountains, from the Gulf of Mexico at New Orleans up the Red River to the Canadian border.